A new survey, commissioned by Greenpeace, of the shopping habits of people in Europe and Asia finds that regularly buying too many clothes, shoes, bags and accessories has become an international phenomenon. This is especially striking in China and Hong Kong, but is also widespread in Europe, with up to half of consumers buying more clothes than they need and use. Overconsumption of fashion is now deeply entrenched in our everyday culture, both in old European economies and in emerging ones such as China. In many ways, China is currently leading this trend, with more than half of Chinese consumers owning more clothes and bags than they need. Almost half of Chinese consumers buy more than they can afford – and more than makes them happy, and around 40 percent qualify as excessive shoppers, shopping compulsively more than once a week. Young, high-income women are the most vulnerable. The spread of online shopping and social media makes people even more susceptible to overconsumption. These people are not shopping because they need something new – their motivation is the longing for excitement, satisfaction and confidence in front of others. Shoppers also seek to release stress, kill time and relieve boredom. However, shopping does not make them happy; people already own too much and they know it. Around 50 percent report that their shopping excitement wears off within a day. A third of the East Asians feel even more empty and unfulfilled afterwards. They also seem to know they are on the wrong path; around half of consumers are hiding their purchases from others, fearing accusations of wasting money or other negative reactions. Shopping behaviour is widely influenced by people’s social environment and media consumption. Social media platforms like Instagram, Pinterest, Facebook or WeChat in China are driving shopping mania, especially among young digitally connected East Asians. Browsing fashion blogs or following friends and celebrities triggers even more buying. After excessive shopping people experience regular tiredness and boredom – the binge is followed by a hangover. For this survey commissioned by Greenpeace, independent survey institutes Nuggets, TNS and SWG asked European and East Asian consumers about their shopping habits (China, Hong Kong, Taiwan, Italy, Germany) – how often, where and for how long they shop for clothing. We also wanted to know why they go shopping, what triggers them to buy new clothes – and whether they get fulfilled by doing so. All surveys are representative and were carried out between December 2016 and March 2017 amongst at least 1000 people aged 20 to 45 in China, Hong Kong, Taiwan, Italy and Germany. This entry was posted in Recycling and tagged After the Binge the Hangover, China, consumer research, Consumerism, consumption, Detox Campaign, Fast Fashion, fastfashion, Germany, Greenpeace, Hong Kong, Italy, Taiwan. Sustainability in textile development and manufacturing is an ongoing conversation, much of it revolving around processes that conserve energy, water and natural resources. But beyond manufacturing processes, sustainability issues are driving true technical innovation, resulting in new products offering a host of advantages. The search for alternatives to perfluorinated compounds (PFCs) such as PFOA and PFOS (used to render textiles durably water and stain repellent have been front and center, primarily in the apparel , carpet and upholstery, and outdoor sectors. Loudly condemned by NGO and sustainability campaigner Greenpeace, and subsequently by various government organizations, PFCs persist in the environment and bio-accumulate in animals and humans, creating a number of health issues. The European Union has banned the use of PFOS, and is considering a restriction on PFOA. In the U.S., the Environmental Protection Agency (EPA) negotiated with the chemical companies who produced them to phase out PFOA by 2015. As a result, textile and chemical companies have been forced to innovate sustainable, water or bio-based DWR finishes such as Chemours™ Teflon Eco-Elite™, Sciessent CURB™, Huntsman PHOBOTEX®, Schoeller® Technologies ecorepel®, HeiQ Eco Dry, and Bolger & O’Hearn’s Altopel F3®. The PFC-free alternatives generally impart a softer hand to textile products, and repel water-based stains; but unlike PFC-based finishes, they do not have the ability to repel oil-based dirt and stains. As a result, some manufacturers of high-performance outdoor gear, such as Patagonia and W.L. Gore & Associates, are funding additional research. Patagonia has invested in a Swiss company, Beyond Surface Technologies, which is working to develop better chemistries for outdoor apparel; the Gore Enterprise is putting $15 million into researching non-PFC materials. The first non-PFC Gore-Tex products should be available in 2018. The Greenpeace DETOX campaign pushed for a change in the chemistry behind durable water repellency. The textile industry has been a significant player in this effort, developing new PFC-free products for garments and other markets. 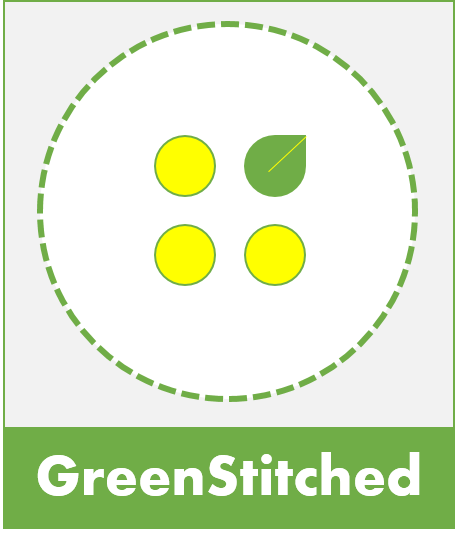 While many proponents of sustainable textiles maintain that you can’t beat Mother Nature, the truth is that innovative synthetic materials are being engineered with better green credentials. Nonwoven wipes are an example. The market for single-use, personal care wipes (generally made from polyester) reached $8.2 billion in 2013, according to Euromonitor International, and is expected to grow at a CAGR of 3 percent through 2018. While most wipes are not flushable, ending up in landfills, consumers are demanding the convenience of a flushable wipe. A large proportion of wipes are flushed anyway, much to the dismay of municipalities who must deal with the problem of blocked sewers. The industry is developing new requirements for flushable wipes, and some manufacturers have turned to cellulosic fibers, which can be more easily biodegraded. But according to Bynum Poole, president of the Greenville, South Carolina-based Poole Co., a leading distributor of polyester fibers for the nonwovens industry, cellulosic nonwovens are more expensive and more difficult to process than polyester. Like many polyester suppliers, the company offers post-consumer recycled fibers, via their EcoSure® brand. Last year the company took the process a step further with the development of EcoSure® BioBlast™, a biodegradable fiber made from 100 percent recycled PET bottles, shown to biodegrade 12 times faster over a year in landfill conditions than traditional polyester fibers. EcoSure BioBlast fibers are also seeing interest from outdoor apparel and sock brands, as well as the automotive industry, Poole says. The textile industry is also taking a closer look at the sustainability story being told by bio-based fibers such as DuPont™ Sorona®, which has been around for more than a decade. Given the generic “triexta,” Sorona is a type of polytrimethyl terephthalate (PTT) containing 37% Bio-PDO™ (bio-based 1,3 propanediol), made by fermenting glucose from corn. Bio-PDO™ (bio-based 1,3 propanediol) contains three carbons, and nature is filled with three-carbon and six-carbon forms. “People are beginning to understand the concept of ‘biomimicry’,” says Renee Henze, global marketing manager for Sorona. The Sorona technical team is also working closely with carpet mills to develop new blends that take advantage of the fiber’s softness, and to engineer latex-free backings, further reducing the product’s environmental footprint. The latest use for sustainable Sorona fibers is in makeup brushes, where it replaces natural animal hair. Sorona’s softness and stain-resistant qualities are also attracting the high-end automobile industry, where “glowing” light-colored interiors are trending, according to Sagrati. The proliferation of closed-loop textile systems that keep textile waste out of the landfill is creating a host of recycled yarns and materials that can be used to make new textiles, primarily for apparel and industrial end uses such as insulation, batting and bedding. But recycled and sustainable materials are also being used to engineer highly technical products. Leaders in this area are Leigh Delaware Holdings, the parent company of South Carolina-based Leigh Fibers, a processor and trader of recycled fibers, and ICE Recycling, which reprocesses polymers, cardboard and metal. Leigh recently announced the formation of a third sister company, SmartVista™, to focus on the development of new products and technologies from these materials for a variety of industries. SmartVista’s first product, called SPILLARMOR™ – RDS100, is a lightweight, self-contained emergency response unit designed to rapidly absorb hydrocarbon spills. “SmartVista will continue developing customer focused technologies for a wide array of industries where sustainable solutions may not currently be available,” says Mariel McAllister, director of public relations for the three companies. Through sustainable engineering, Leigh Fibers has diverted morethan 14 billion pounds of textile waste and byproducts from landfills. There are dozens of sustainability-driven innovations currently in development in the world of textiles, from synthetic spider silk and fibers spun from oceanic plastic waste, to eco-alternatives to spandex, dyes and printing inks, goose down, building materials, or geo-synthetics. Indeed, one could argue that sustainable imperatives are perhaps the greatest driver of textile innovation today, giving product developers the opportunity to not only make textiles more sustainable—but to create something new and different in the process. This entry was posted in Chemicals and tagged Advanced Textiles Source, Altopel F3, Beyond Surface Technologies, biomimicry, Bolger & O’Hearn, carpet, Chemours, closed loop, DuPont Sorona, DWR, EcoSure BioBlast, Greenpeace, HeiQ Eco Dry, Huntsman PHOBOTEX, ICE Recycling, Leigh Delaware Holdings, Leigh Fibers, Patagonia, PFC, PFOA, PFOS, Poole Co, Schoeller Technologies ecorepel, Sciessent CURB, SmartVista, SPILLARMOR - RDS100, Teflon Eco-Elite, triexta, upholstery, W.L. Gore & Associates.